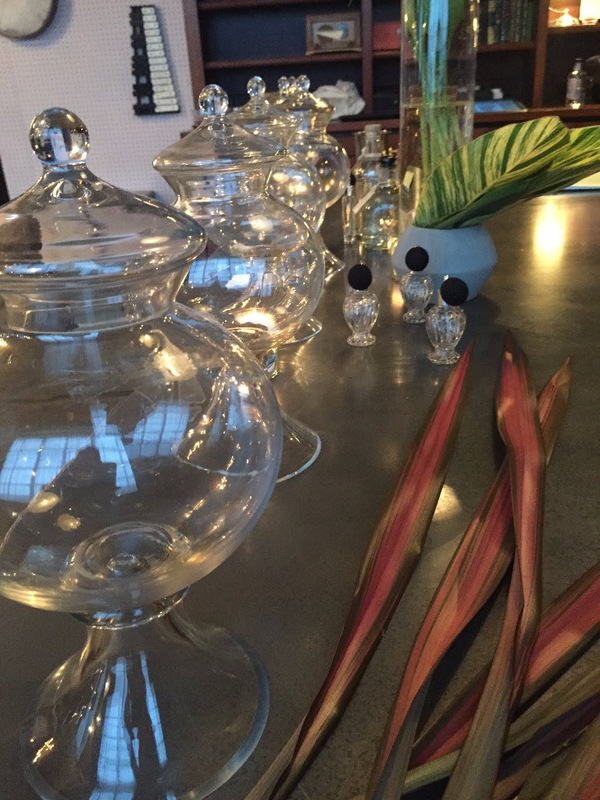 Join us as we continue our series on the Fundamentals of Fragrance with a workshop on Noir Tropicals, with a hands on-experience in perfumery, inspired by the dark tropical prints of our collection of lingerie and nightwear, designed by tattoo artist Esther Garcia of Butterfat studios. 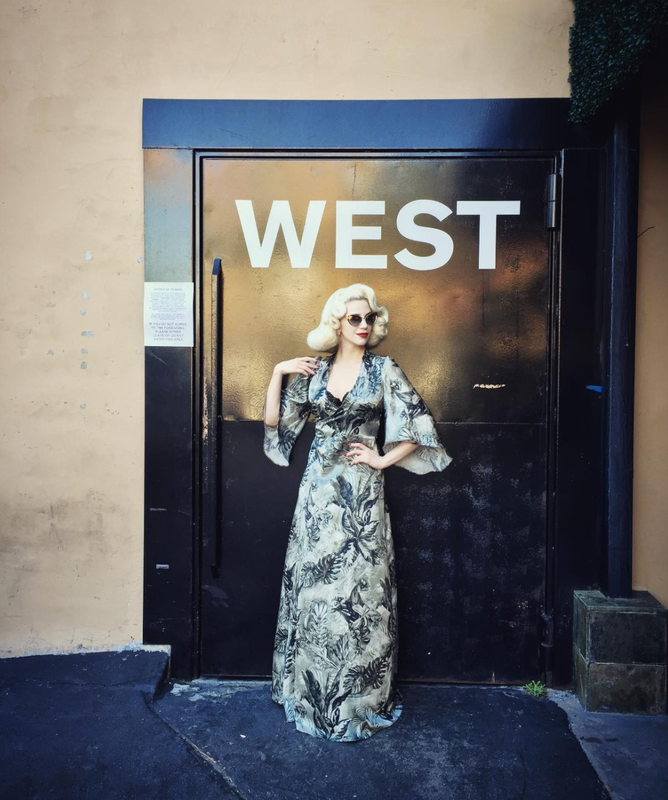 Sip our signature punch while you peruse Saffron’s designer vintage fashions, the Department of Curiosities collection of nightwear and lingerie, and in-house lines Morua and Production Mode. A divine Saturday! 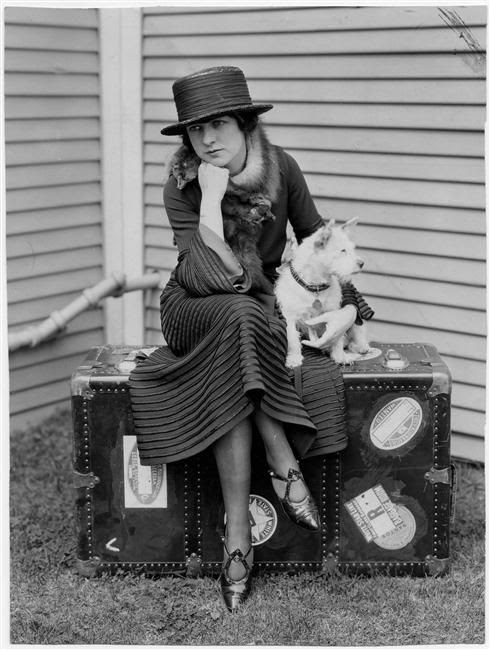 Thanks to Miss Tosh, the Velaslavasay Panorama, & What Katie Did for a wonderful time in Los Angeles! Miss Tosh, relaxing between filmings, in our noir tropical dressing gown. 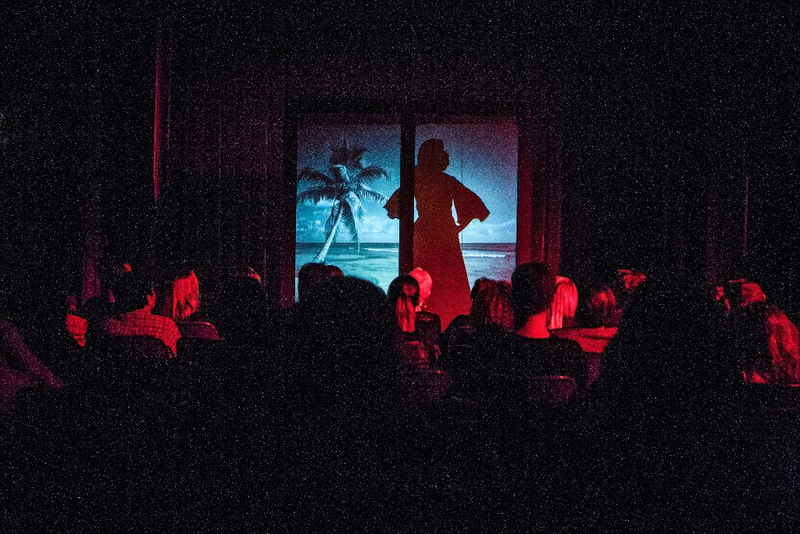 Miss Tosh in silhouette, from her performance developed especially for the Panorama. Photo by Forest Casey. 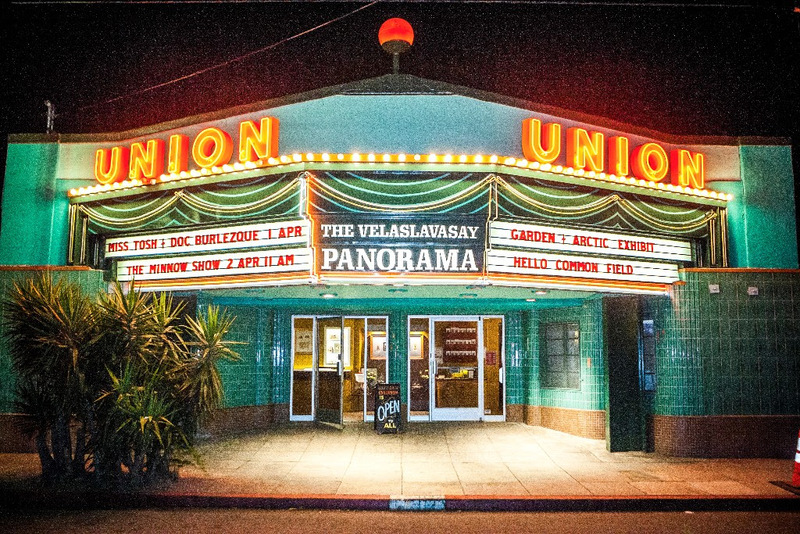 Lighting up the marquee of the Velaslavasay Panorama. Photo by Forest Casey.